The flat was much bigger than I thought it would be. It had a nice little garden as well. I had the downstairs flat. It was clean, bed was comfortable. Communication with the manager and location was 10 minute walk to the city center. Location, value for money for 4 people staying in central Cardiff, ability to cook your own breakfast. Flat 5 Apartments This rating is a reflection of how the property compares to the industry standard when it comes to price, facilities and services available. It's based on a self-evaluation by the property. Use this rating to help choose your stay! 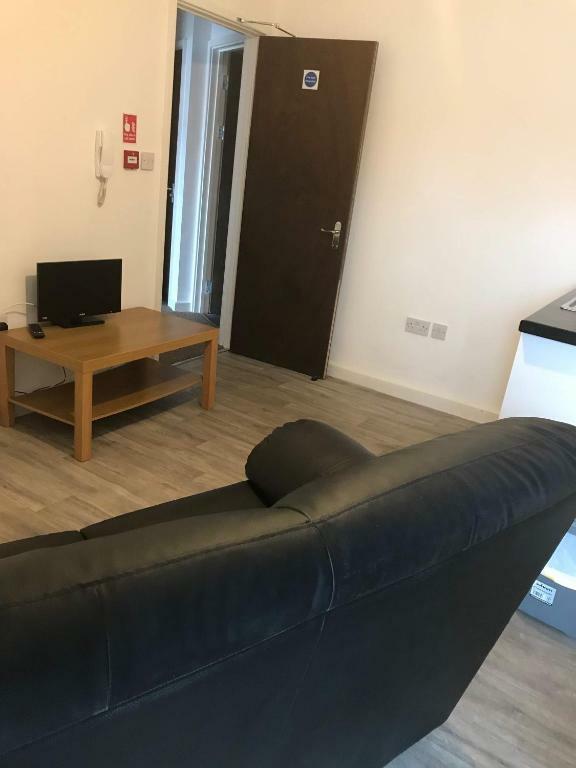 A 10/15-minute walk from Cardiff city center and the Millennium Stadium, Flat 5 is a selection of private and fully furnished 1, 2 and 3-bedroom apartments. 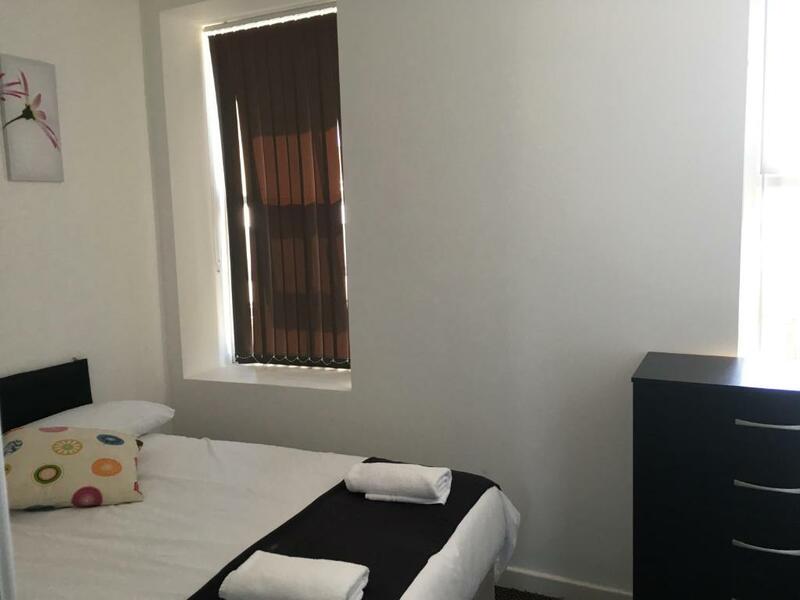 Enjoy all the facilities you need to ensure comfort and privacy during your stay in the Welsh capital. Flat 5 apartments are very close to Sophia Gardens and the SWALEC cricket stadium (5-10 minutes’ walk). When would you like to stay at Flat 5 Apartments? A 2 double bedroom ground floor apartment in the heart of Pontcanna, Cardiff. The apartment offers a dining table and flat-screen TV. The modern bathroom has a bath and overhead shower and there is a fully fitted kitchen. Includes free Wi-Fi. This apartment is located at postcode CF11 9JE. This ground floor apartment features two double bedrooms and a living area with sofa bed. The apartment offers a lounge/kitchenette, a bathroom with power shower and access to a garden. Includes free WiFi. This apartment is located at postcode CF11 9DG. With 3 double bedrooms. With one double sofa bed in lounge for additional guests. Includes free WiFi. This 2-bedroom house is located at CF11 6LG. 5-minute walk to the city center and Millennium stadium. The property offers 2 double beds, living room, open plan kitchennete/diner and a bathroom. This apartment is located at postcode CF11 6LG. a quiet residential area, close to the city centre. The area features boutiques, cafe bars, restaurants for fine dining, pubs and shops. Busy, but peaceful ! House Rules Flat 5 Apartments takes special requests – add in the next step! Flat 5 Apartments accepts these cards and reserves the right to temporarily hold an amount prior to arrival. Stag and hen parties permitted by prior arrangement only. Please note the apartments may not be located on Cathedral Road. Please check the descriptions for more information. Please inform Flat 5 Apartments of your expected arrival time in advance. You can use the Special Requests box when booking, or contact the property directly using the contact details in your confirmation. Nothing that the owner can change. The parking is a bit of a nightmare even with the residents parking ticket that the owner gave me but I did find a little space outside the church lower down the road. Upstairs were pretty noisy. Very sparsely furnished property that was cold. Facilities ie 2 sofa beds were very uncomfortable, it did state that parking was available but parking was extremely limited within a residential permit zone. Desperate need of a good clean and modernising. Thankfully the bedding / towels appeared clean. But the general property was very dusty and bleak looking The front door had a gap about an inch big at the bottom. So didn’t feel very secure. Not so much a dislike but mattress in rear room was showing its age. The address listed on the website does not match the location of the apartment. The apartment was poorly furnished and dirty, and I would not recommend it to anyone. The service was poor, and the owner tried to shift the blame for the location on to me. Advert states free parking but this isn’t the case. Permit holder or 2 hours free only outside. The address listed was for the office so check where you are staying. The sound proofing upstairs is very bad and you can hear people walking around in the apartments next door. Downstairs was a bit chilly even with the heating on. Great location for the Centre and stadiums, and good value. I had good communication with the owner before and during the stay. We didn't receive key pick up info until morning of arrival and missed it because it came by email and we were driving. Phoned owner to get info. Absolutely no car parking anywhere nearby. Washing machine was in another apartment and we had to pick up keys for that apartment in order to put on a wash. Property wasn't very clean, cigarette left in bathroom. No hand towel in bathroom, only bath mat. No instructions for heating or wifi. Had to email owner for this and washing machine info. Bannister was in a broken and unsafe condition - my daughter cut her hand on it. No spare bedding and it was very cold the first night. Location was good, flat was warm, good value.